Rachel Broughton alongside her Bargain Hunt team’s antique expert, John Cameron. 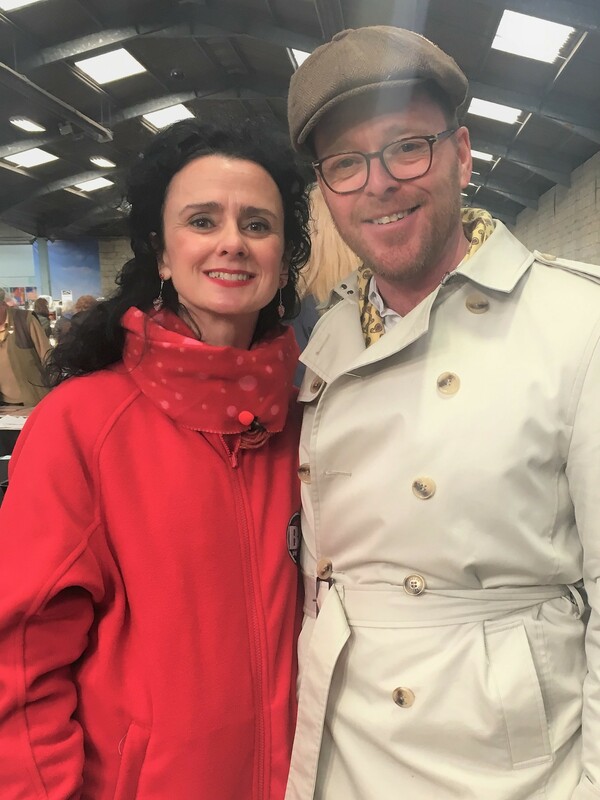 Some non-employment news here – Averta Employment Lawyer’s director Rachel Broughton has filmed an episode of BBC One’s Bargain Hunt with her mother who is a keen antique collector. In Bargain Hunt, two teams have £300 and one hour to buy antiques which they then sell at auction. The team that makes the most money from their purchases is the winner. Each team is accompanied by an expert who helps guide them round what might be the best buys. Contestants don’t have to be antique experts, but the BBC are interested in people who do love antiques and collectables. Enthusiasm is as important to being selected as knowledge, but a combination of both is perfect for the programme. Following a day of filming a few weeks ago, Rachel and her mother will be returning to Malvern today (8th March 2018) to auction what they bought in filming. The episode is due to air in the Summer; the exact date is still to be confirmed. Rachel had great fun filming with their team’s expert John Cameron, Anita Manning and the rest of the wonderful BBC crew. She refuses to tell us what she and her mother bought but she has been heard mumbling something in the office about a golden gavel! Here’s a sneak preview of Rachel taking part alongside her team’s antique expert, John Cameron. John has worked as an expert on two other BBC antiques shows, ‘Cash in the Attic’ and ‘Put Your Money Where Your Mouth Is.’ He has also worked at an auction house to become a chartered surveyor of antiques and fine art and is accomplished at putting contestants at their east and making sure they have fun.